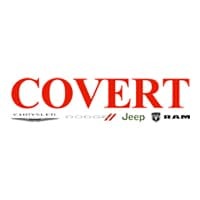 When you’re thinking of looking for new cars for sale in Austin, TX, think of Covert Chrysler Dodge Jeep Ram! We’ve got everything from the trail-tackling Jeep Wrangler to the family-friendly Chrysler Pacifica in stock and waiting to be taken home to Westlake. Take a look at our inventory below, and when you’ve found something you love, contact us to schedule a test drive. When you’re ready to take the next step in buying a new Dodge Journey or Jeep Cherokee, our finance department is here for you with expert help on securing a loan and creating a payment plan. If you’d like, you can even apply for financing ahead of time online! We look forward to serving you at our Austin dealership!